Gerald was born deaf and grew up in Hawaii. Day after day, he sat in class and had to lipread his teachers. He borrowed his classmates’ notes and studied what he could from books. In high school, Gerald was inducted into the Sports Hall of Honor for golf and graduated 299 out of 801 students. He went on to attend Rochester Institute of Technology to study accounting and became the first deaf person to graduate with a degree. He was inducted into the RIT Sports Hall of Fame. 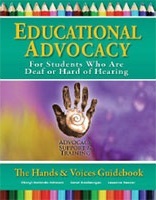 Gerald learned American Sign Language while at RIT. Gerald’s son noticed his father’s frustrations communicating with others, especially when seeing his father communicate at stores or with new people. 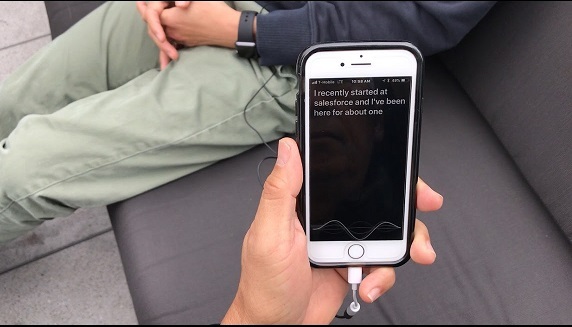 Brandon graduated from University of Rochester with a degree in Economics–and he used his iPhone knowledge to partner with Gerald to create My Ear, an iPhone app that users can download and immediately use to transcribe what hearing people are saying from voice-to-text in real time. 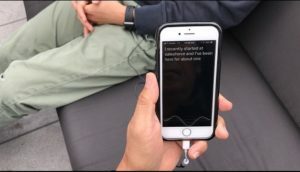 “As a deaf person, he didn’t realize how much conversation he was missing out on, because hearing people simplified their sentences to make it easier for him to lipread,” Brandon explained. One of the big advantages of this app is the use of the iPhone ear buds as a microphone. The microphone can pick up voices from about 20 feet in distance. 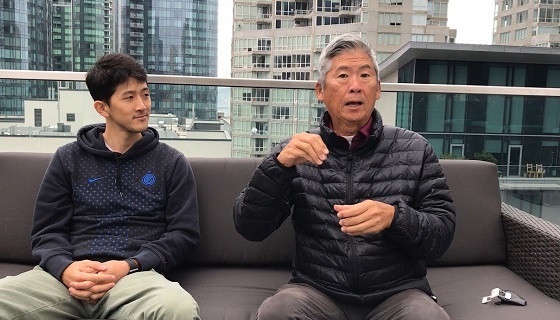 The father/son duo recently released another app: “My Talk,” which provides text-to speech output.